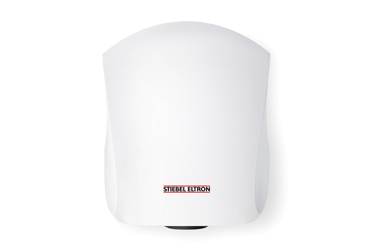 As bacteria is more likely to be spread from wet skin than it is from dry skin, hand drying is an essential part of the hand washing process. 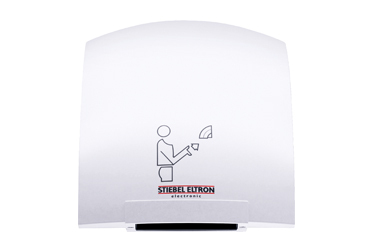 STIEBEL ELTRON's range of hand dryers ensures that you can dry your hands hygienically thanks to their touch-free operation. A sensor will simply recognise when your hands are placed underneath. 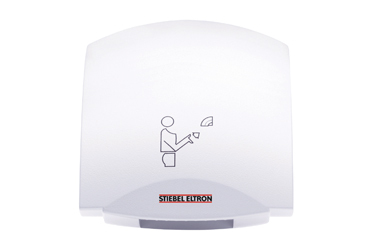 Our Ultronic models enable users to dry their hands completely in as little as 15 seconds, as they release a stream of air at more than 300 km/h.